Holy smokes. Do you realize the crisis we are facing? Are you aware of this seriously frightening epidemic spreading throughout college campus all over the USA? Seriously, it's not good people. You step on campus for ONE minute and you will IMMEDIATELY see what I am talking about. But wait, no point in having to come all the way to campus to see evidence of this scary plague, because you can see it right where you are, I am willing to bet. 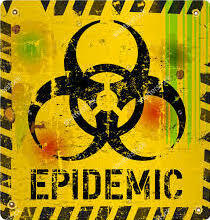 Just the other day, I was out for a nice stroll across campus and I almost became a victim of this epidemic FIVE times! And it's not even a very big campus. Sheesh. I'm telling you what. Something must be done. I don't think there is a vaccine for this. Not sure if there is a cure either. Oh, wait, there is. I know what the cure is. It's a sledgehammer. You may be thinking, "uh, what? What kind of epidemic is solved by a sledgehammer?? That makes no sense and I'm going to stop following this blog which is bad for him because I'm the only one who reads it." This epidemic started out gradually. It started appearing, but only subtly and nobody really paid it much attention, in fact, most just joined in, willingly infecting themselves. No surgeon general's warning on the box to warn us of the dangers or to ward us off from diving in and joining the group. It's too soon to see the long-term effects this epidemic will have. But the short-term results are in. And they are bad. For me, I have witnessed plenty of people suffering from the horrible things caused by this epidemic: Black eyes from running into a light pole. Scuffed face from running into a brick wall. Tripping over a park bench. Dropping all their books. First degree burns after spilling their coffee. One person even missed the love of his life because of this!!! She walked right on by and he never even knew it. Had he been looking up, he would have seen her. An instant spark would have popped into his head and prompted him to say hello. This would have led to grabbing coffee later in the day. Then, dating. Then marriage. Then kids. A full life of happiness with his soul mate. But nope, none of that stuff happened because of the screen he was staring at. It's terrible. I'm telling you, it's terrible! Cue the sledgehammer. This epidemic is "Walking while texting" and it's out of control. I was once standing in the hallway. Motionless, just watching a group of students walk towards me. One was looking down, on their phone while walking. I just stood there and do you know what happened? Yep, the person ran right into me. It was so awful (and awkward). Seriously! It's a problem. Even worse, some even text while walking backward. How dangerous! Not only for them but for the people around them who are actually engaged in the real world and not locked into a screen. It seems everywhere I go, people are walking while texting and I fear that once they finally look up, they will see that 10 years have passed and they have done nothing but wasted it away on their device. I offer a challenge! Put the device down. Look up while walking around. Perhaps you while notice the beauty in the world and engage in the present. There can't be anything that important that requires you to be walking while texting. And if it is an emergency or high priority, stop walking! Social media makes people less social. I'm right there with them, inflected by this epidemic myself, but now I'm going to do something about it. What you ask? I deleted Instagram for starters. What's next? Probably Facebook. Then snapchat. Then Twitter (wait, no, who am I kidding. I'm not getting rid of Twitter). Or, maybe you don't have to delete any of that stuff, but just achieve some level of balance in life. Yes, perhaps that's the best route. I'll go with that. BALANCE!